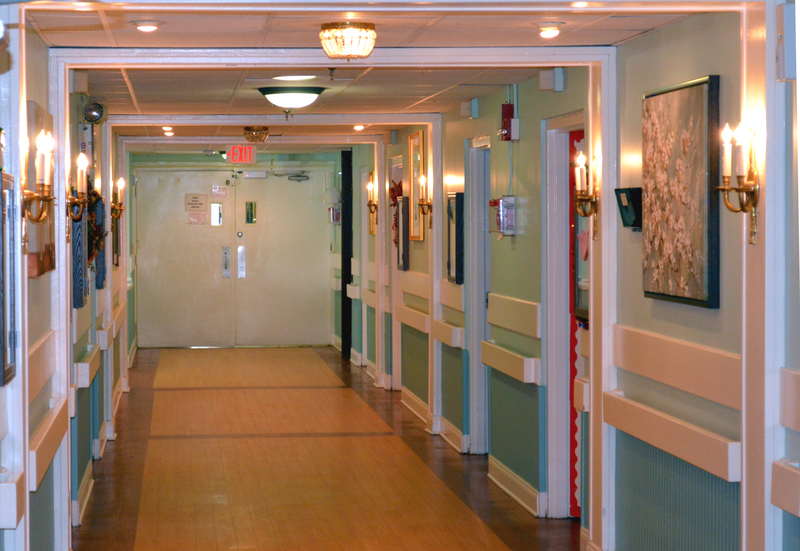 Residents at Weirton Geriatric Center receive 24-hour nursing care under registered nurse supervision. Skilled and intermediate care are all provided by a qualified, friendly nursing staff. Every elder has specific needs. 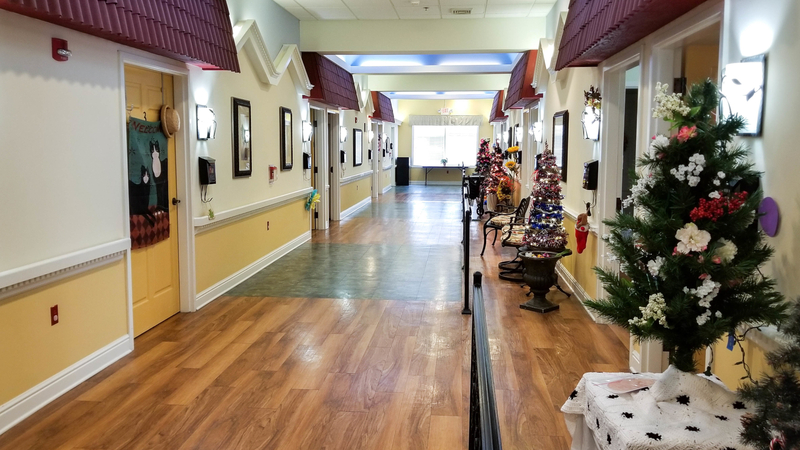 Individual care plans are developed for each resident in the Weirton Geriatric 137 bed Elder Care Home to assist in achieving the highest possible functioning level. Family members are encouraged to take an active role every step of the way. The nursing staff is working 24 hours a day to provide assistance with the activities of daily living, nutritional monitoring, disbursement of medication and regular health evaluations. Those who have needs to receive rehabilitative and skilled nursing services will work with the finest staff in areas including physical therapy, IV therapy, wound care, pain management, and other areas as needed or instructed by your chosen physician. Our social workers interact with our nursing staff to evaluate each residents’ capabilities and needs and develop individual treatment plans. The social services staff also counsels residents’ families concerning care and financial arrangements. Residents live in a clean, tastefully decorated and furnished semi-private or private room with private or adjoining baths. A large dining area, activity room, lounge, sun rooms and outdoor patios add to the resident accommodations. Plants, animals and children are a vital part of the Weirton Geriatric’s move toward the Eden Alternative where the focus is on creating a habitat for humanity in which our elders come to live. We believe that by providing such an environment continued growth is made possible and lives can be changed every day. At Weirton Geriatric Center, residents receive a well-balanced diet of tasty, nutritious meals, prepared and served by our experienced kitchen staff. Our registered dietician plans the menus taking into consideration any special diet needs that individual residents may have. Interaction with other residents, staff and local community volunteers is promoted through various social activities. Residents are also transported to ball games, shopping malls, concerts, and even fishing, via one of our wheelchair equipped vans. When weather permits, residents also enjoy picnics or gardening outdoors. For more information about the Weirton Geriatric Center, please call (304) 723-4300. At Serra Village, we understand that finding the best possible care for your loved one can be a daunting task. That’s why we’ve developed a specialized care unit in Golden Acres for those suffering from Alzheimer’s Disease. Golden Acres offers spacious accommodations that are designed to help residents feel the most comfort and the ability to move freely. In addition to plentiful indoor seating seating for both residents and visitors, there is also a peaceful yet secure outdoor patio and courtyard for your loved one to enjoy. Golden acres is fully staffed with licensed nurses and activity directors, so that we can provide the special love and care your love one needs. An Alzheimer support group, open to all interested individuals, meets monthly to assist families of Alzheimer’s residents cope with the disease and enable them to comfort each other by sharing experiences. For more information about Golden Acres or the Alzheimer’s Support Group call 304-723-4300.